Koppet’s book draw’s on practical improvisational theatre techniques that can be used to enhance creativity, teamwork and leadership. One of the rules of Improv is to say “Yes, and…”, accepting offers your partner makes and building on them. Otherwise, the scene will quickly be going down a one-way street towards a dead-end. Relate this to your own experience as a communicator. How often do you respond with “Yes, but…” when those you know or work with come to you with suggestions and ideas? How quickly do you become discouraged when you propose a bright idea yourself, only to met with “Yes, but…” followed by a series of reasons why something will not work? The simple fact is that those who prefer to say ‘Yes, and…’ will be rewarded by the adventures they have whilst those who say ‘No’ are rewarded for the safety they attain. 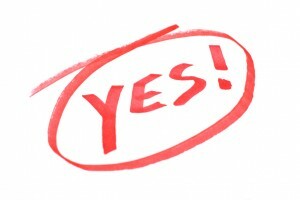 Using the power of “Yes” forms part of several of our Focus Areas , such as “Personal Mastery” and “Personal Presence” .